President of Uzbekistan Shavkat Mirziyoyev will visit Kyrgyzstan on an official visit in September this year, "Podrobno.uz" reported referring to the Ministry of Foreign Affairs of Kyrgyzstan. 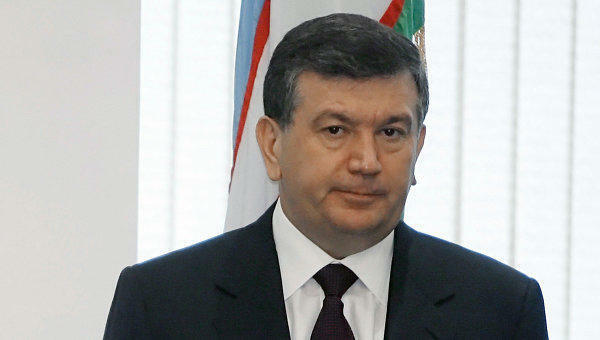 The visit is reportedly due to the outcome of negotiations between the Minister of Foreign Affairs of Uzbekistan Abdulaziz Kamilov and Minister of Foreign Affairs of Kyrgyzstan Erlan Abdyldaev held in Cholpon-Ata city of Issyk-Kul region on the sidelines of the consultative meeting of foreign ministers of Central Asian countries. "The sides discussed the issues of implementation of agreements reached during the official visit of the President of the Kyrgyz Republic Sooronbay Jeenbekov in Uzbekistan (December 13-14 2017, Tashkent) and exchange of visits, particularly the visit of the President of the Republic of Uzbekistan Shavkat Mirziyoev in the Kyrgyz Republic in the framework of his participation in the summit of the Cooperation Council of Turkic Speaking States (September 3, 2018, Cholpon-Ata city)", the Foreign Ministry of Kyrgyzstan said. A constructive discussion of the prospects for increasing bilateral cooperation, as well as the topical issues of mutually beneficial Kyrgyz-Uzbek relations in political, water-energy, cultural, humanitarian and other spheres took place during the meeting. In addition, the parties exchanged views on the entire range of Kyrgyz-Uzbek relations, discussed the current state and prospects of bilateral cooperation, as well as the implementation and organization of the main events scheduled for 2018.